Summer is here! 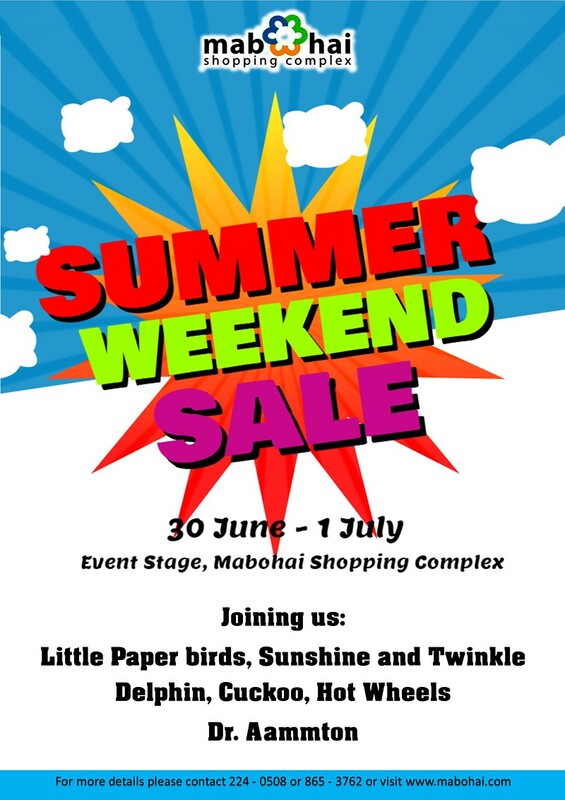 Join us this weekend for our Summer Weekend Sale at Mabohai Shopping Complex. Native bags, exclusive books, collectibles, pretty ribbons, home management items all for sale at the Event Stage and Activity area of Mabohai Shopping Complex. Kids can also play at our Kids Activity area, or do some crafts. See you this weekend, 30 June – 1 July at Mabohai Shopping Complex.